Today Corsair has announced its fastest ever production DDR4 kit. 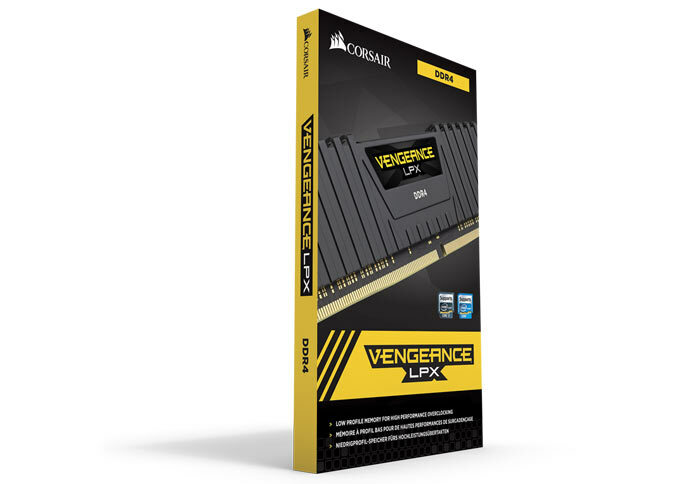 The Corsair Vengeance LPX 16GB 4,600MHz DDR4 RAM kit will become available shortly. Fitted with a stylish black heatspreader this 2x8GB kit runs at 4,600MHz using CL19-26-26-46 timings at 1.5V. In an email to HEXUS, Corsair said it developed this new 4,600MHz memory kit alongside motherboard maker ASRock using its X299 OC Formula motherboard. The tech partnership claims to take "Intel XMP 2.0 performance on the Intel X299 platform and Intel Core X-Series Processors to new heights". 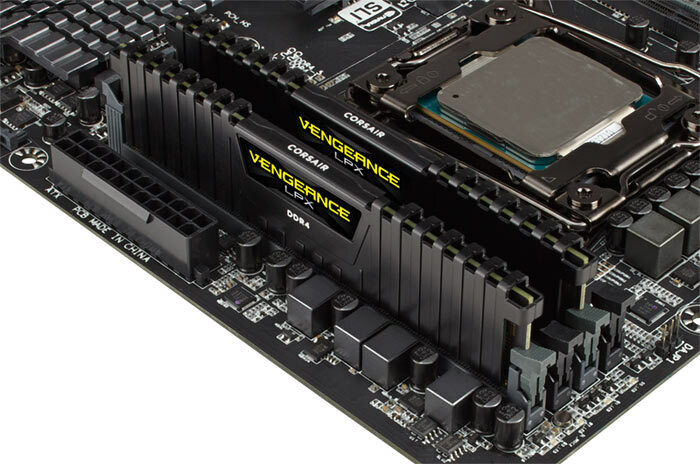 The new Vengeance LPX 16GB 4,600MHz DDR4 memory modules use hand-sorted industry-leading Samsung B-die ICs. If that statement sounds familiar, yes these are the same memory chips G.Skill uses for its Trident Z DDR4 memory kits, such as the DDR4-4600MHz CL19 Trident Z 16GB memory kit it announced just a week ago. If you want a super-fast Corsair DDR4 kit with greater than 16GB capacity the maker recommends its Vengeance LPX at 32GB (4x8GB) 4,133MHz, 64GB (8x8GB) at 4,200MHz, 32GB (2x16GB) at 4,000MHz and 128GB (8x16GB) at 3,800MHz. Corsair's Vengeance LPX 16GB 4,600MHz DDR4 RAM kit isn't listed on the official website at the time of writing. The fastest currently available Vengeance LPX kit is the Black Vengeance LPX 16GB (2x8GB) 4,500MHz CL19-19-19-39 at 1.45V, priced at $480 plus tax (but the website price currently says $504, so it must be getting a price cut). You will have to wait until 21st September for this 4,600MHz kit and it will come with an MSRP of $550 plus tax. I'm pleased how fast these kits are getting but the prices even on the low end stuff are too high! I like to see some Ryzen performance with this! I really am going to have to find a new hobby, one that isn't held hostage by monopolies and price fixing cartels like the PC component market. ..Airfix models seems a nice way to escape from the world for a bit. And yet Corsair doesn't yet make a memory kit that will officially work with Ryzen beyond 3000MHz or which can consistently perform above 2667MHz on most AM4 motherboards with the latest AGESA updates. It's really not helped by various versions of memory kits sourcing their RAM modules from various suppliers, which muddies the water and gives the impression that all of certain memory kits will work on AM4 motherboards at rated speeds, where in reality it's generally the Samsung modules that can reach full speed. I'm really hoping that more top-tier memory makers get their act together more on this as Ryzen and Threadripper gain more traction. Currently it feels as though G.Skill is the only one really addressing this head-on.